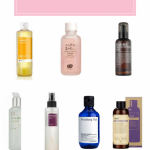 When it comes to toners, some people think it is unnecessary and always skip this step. I will not say you must to do it or not because skincare is not magic and will not change your complexion immediately. However, applying toner is the way to remove residues and adjust your skin PH which is good for the following skincare products to be absorbed. 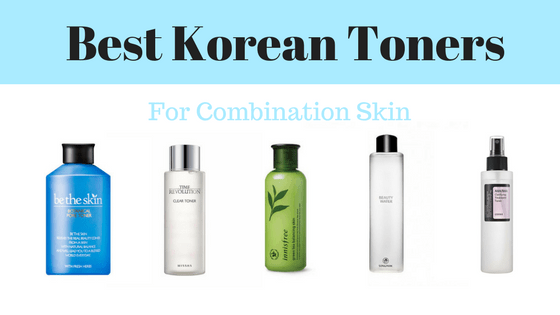 As I am combination skin and a Korean skincare lover, therefore I will start to talk about the best Korean toners for combination skin. It is based my own and my team’s experience. For combination skinned peers, the T-zone is oily and other parts are still quite dry. Hence, a toner with good hydration and gentle exfoliating effect would be a better choice. This beauty water is very popular and won a good reputation in Korean cosmetic world. It is a multi-task toner which can not only sweep away dirt and dead skin cells but also provide you enough moisture. It contains rose water, lavender water, and other herbal extracts to ensure you get good hydration. 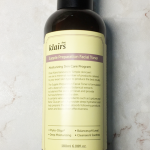 In addition, papaya extract and willow bark in this toner will do the clean job for the skin. It is refreshing but still very mild so that you will not feel strapped at all. As one of the Missha best sellers, this Time Revolution Toner belongs to their famous “time revolution line”. It will promote your natural skin cell turnover process by removing your debris gently. When it comes to the ingredients in this clean toner, we will see the second one is Saccharomyces Ferment ( the first one is water) which makes this toner stand out. As you know, Ferment is the crucial method to preserve kimchi. Here, they use it as the properties to remove dead cells, minimize pores and tighten your skin. Not like another synthetic element, it is mild and natural. Other main ingredients include Propanediol, Glycerin, Pentylene Glycol which are well-known moistures to provide generous hydration for your skin. Many beauty bloggers have recommended it. As the name of this toner suggests, this is a toner that focuses on cleaning and minimizing pores by using botanical properties. It utilizes fermentation technology to clean residues as well. What’s more, with the help of Hamamelis Virginiana, the oiliness in your t-zone will be controlled. It will refresh your face without dehydrating your skin. However, it is not alcohol-free. As the best sellers on Amazon, this toner is an ideal product for daily exfoliation. AHA and BHA are a kind of “gentle” acid which help to exfoliate and renew your skin. By using this toner, you will get a brighter and smooth skin. Another advantage of this product is that it is quite affordable. But for some people who are in touch with AHA and BHA at the first time, they will get break out at the beginning. Despite it is a normal process when you adapt to the acid according to some reports, you may not like it. And for people with sensitive skin, you should be careful to use any skincare product with acids. The “green tea line” of Innisfree is very popular not only in Korea but also in other countries such as US and China. 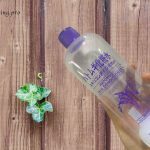 Like other Innisfree products, this balancing toner is affordable. By using green tea extracts and amino acids, this toner is designed to adjust your skin balance, leaving you a soft and smooth complexion. This toner does not focus on exfoliating. The main effect is to offer your face proper nutrition and moistures to boost absorption of your next products. The texture is so lightweight that will not leave any stickiness. 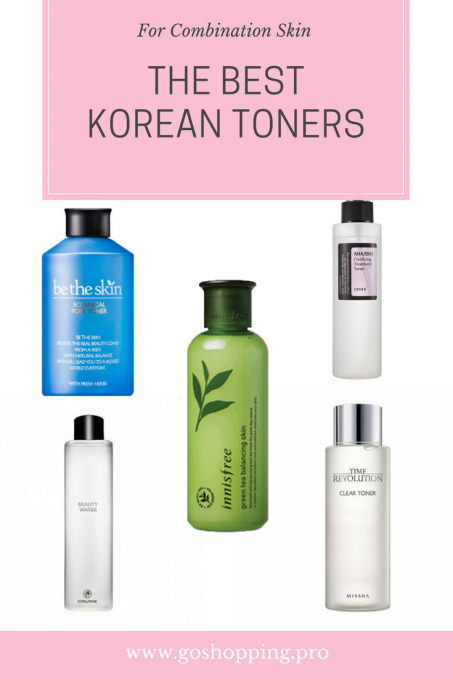 All in all, this is the best Korean toners for combination skin based on our experiences. Please use cotton pad infused with these toners to swipe your face. You may find some residues and dead cells on your pad. 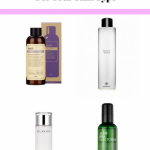 If you also want to find the best Korean moisturizers for your skin types, you can check here. Plus,if you are blong to another skin type camp, you are welcome to read this post.